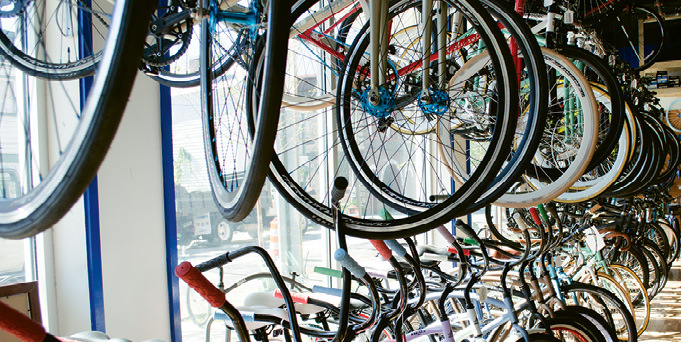 Daniel Russell-Einhorn opened Affordabike on King in 2009. The new “Bike Bus” comes in two- and three-wheel styles. 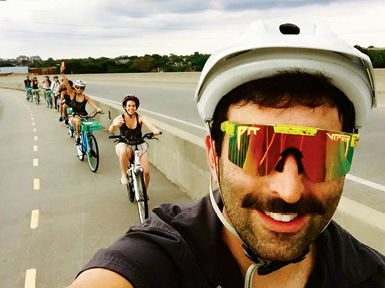 Russell-Einhorn leads a weekend ride up the Ravenel Bridge. 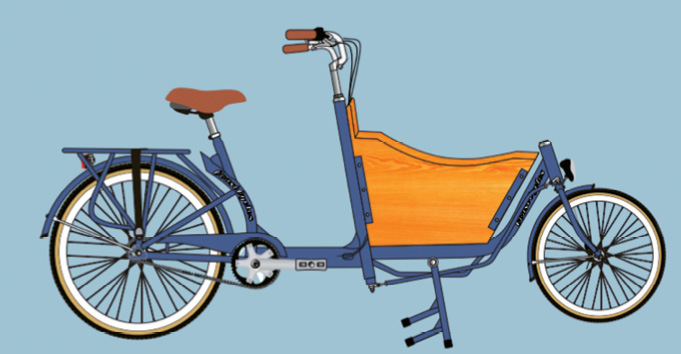 If worried about cookie calories or galactic gridlock, Santa should trade his sleigh for a “Bike Bus.” With a front bin designed for kids (complete with seat belts) and dogs, the utilitarian cruiser debuts this month from Affordabike’s prebuilt bike brand, Coast Cycles. The Lowcountry-inspired line includes low-frills frames outfitted for entry-level pedalists, such as the “No Coast” single-speed cycle popular among downtown’s college crowd and the “Crosstown” city rider with just enough gears for navigating Charleston’s flat terrain. 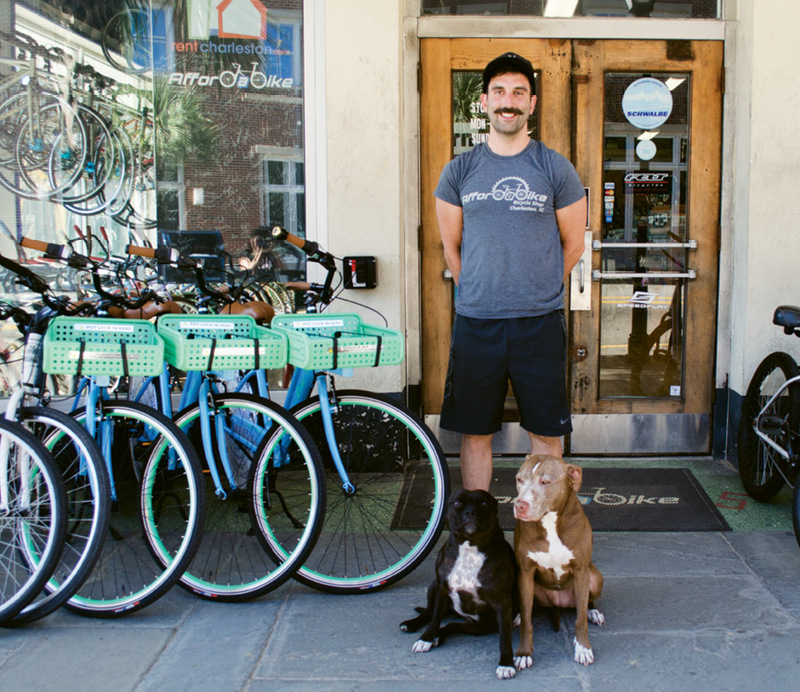 Since 2009, when the King Street shop set out selling an inexpensive custom cruiser line, Bilda Bike, Russell-Einhorn has pushed to get people pedaling. Affordabike recently introduced a bike-sharing model, “The Concierge,” that allows guests at downtown hotels to unlock their temporary transportation using an app. Russell-Einhorn notes that the company’s been fielding questions about the program from colleges and state parks around the country. Tech Tuesday: These no-charge clinics held the last Tuesday of every month roll through topics like changing an inner tube and using gears. Commute on King: On the final Friday of the month, slow-ride with Affordabike, Charleston Moves, and a casual community of some 100 cruisers (and sometimes city councilmen!). Mountain Bike Demos: Every other Saturday at 11 a.m., test-drive a variety of new mountain bikes in all sizes (even kids’) at Marrington Plantation’s mountain bike trail. Ravenel Rides: Any weekend, rent cruisers, kid seats, helmets, and more for a guided trip up the Ravenel complete with bridge-top photo ops.